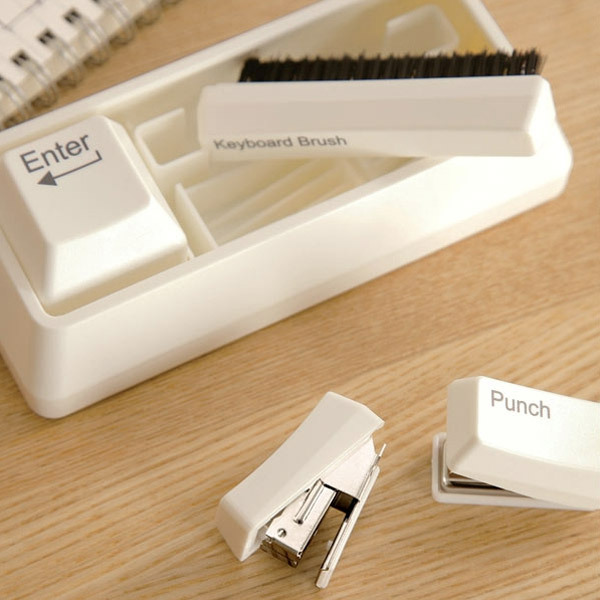 While three of the tools are appropriately labeled, the paper clip storage is quizzically identified as an “Enter” key, which should definitely keep things interesting if you place it in close proximity to your real keyboard. 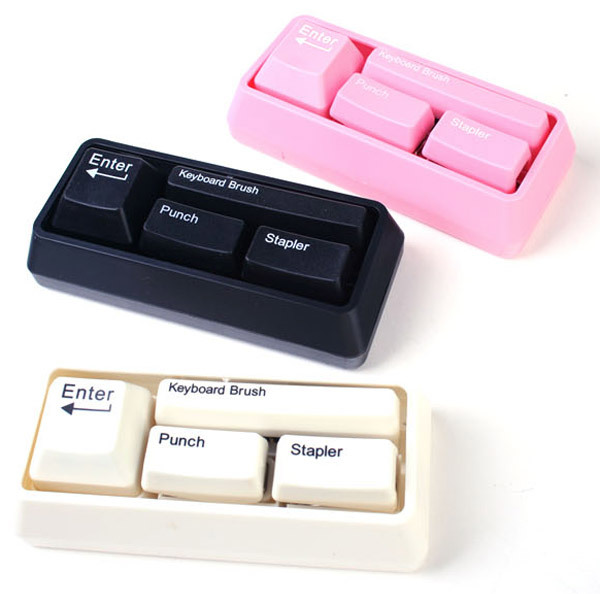 The set is available in the familiar black or white keycap colors, but also an girly pink version too – presumably for those of you out there with Hello Kitty keyboards. You can find the black or white versions over at Kleargear for $11.95(USD), while PandaWill carries all three versions for just $8 – however, they will pick your color at random, so you may or may not end up with a pink one. 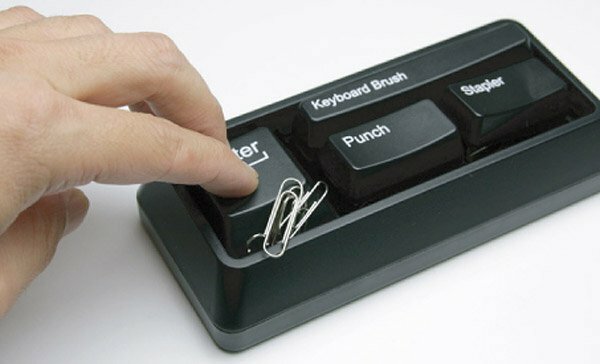 Oh, and if you prefer grey, head over to mimoco. Why can’t one place just sell all of these again?